What we stand for that influences our teams’ contribution in shaping ‘customer experience’. Who is the most attractive buyer for us to focus on and how we understand their needs more intimately. What are our goals, objectives, strategies and tactics over the long and short term. Unlike conventional online courses, this self-discovery eTool brings education and creation together – as you learn, you build your Brand Strategy Roadmap at the same time. Through eight sequential modules, your answers are pushed forward to guide and build the next. All your inter-related statements, descriptions and actions are saved in one place to review, print or download as PDFs. The following six components influence your teams’ contribution in shaping ‘customer experience’ – even if they don’t come into direct contact with them. Leading brands work towards rising above the noise by defining and acting on these. Explore the reason why your business exists and create an empowering statement that influences everything. Brands that commit to a Purpose or higher cause, and embed this shared philosophy into their DNA, have an inspiring and sustaining force that employees, stakeholders and customers believe in. In a report by Stanford University brands that nurture their purpose out-performed their contemporaries by a factor of 12 on the stock market. Identify what success looks like some time in the future with a goal that is both challenging and inspiring. Knowing where you want to be or what you wish to become some time in the future, not only forces you to really know your ambitions but your Vision creates a shared, actionable goal. It energises and reminds you, your team and partners to pull in the same direction. Alongside your Purpose, both statements represent the top drivers for business success. Explore and define how you stand apart from your competition to become the preferred choice for buyers. Leading brands work towards owning a particular market position and mind share in buyers minds – think Volvo and safety. Staking a position in your market takes time. However, standing apart from your competitors in a way that’s clear and meaningful to your ideal buyers is one of the most important steps your brand needs to tackle. Plan2Brand helps you confirm your stance. Craft your guiding principles that are the attributes or benefits you and your ideal buyers value most. Your Pillars are the cornerstones that, when in combination, are your brands unique blend. This set of guiding principles, are shaped from your Purpose and Position. They drive the way you do business, from the opportunities you seek, who you choose as partners and the attributes you are looking for in employees. Define the customer experience you consistently need to deliver to build trust, loyalty and buyer advocacy. Although an internal statement to drive alignment, the actions of your Promise are outwardly expressed. Supporting your Purpose, Position and founded on your Pillars, your Brand Promise is your customer pledge. It is the actionable mechanism to frame the ‘customer experience’ your brand delivers to continuously and consistently exceeds buyers’ expectations. Choose human characteristics that positively shape how people feel about and interact with your brand. Brands that exude personality get noticed and remembered. It’s another way you can differentiate from competitors, to make an emotional connection that resonate with like-minded people. How your brand looks, communicates and behaves is easier to execute when you have a set of personality traits that are not only a reminder, but an honest and true representation of your brand. * Module runtime based on reading and watching videos. Workloads are approximations and do not include any offline research. • Inspire your team by referring to, and acting on them • Create consistency as part of your brand style guide • Be clearer about what you say and do in your marketing activities • Use to activate product, employee and partnership development. 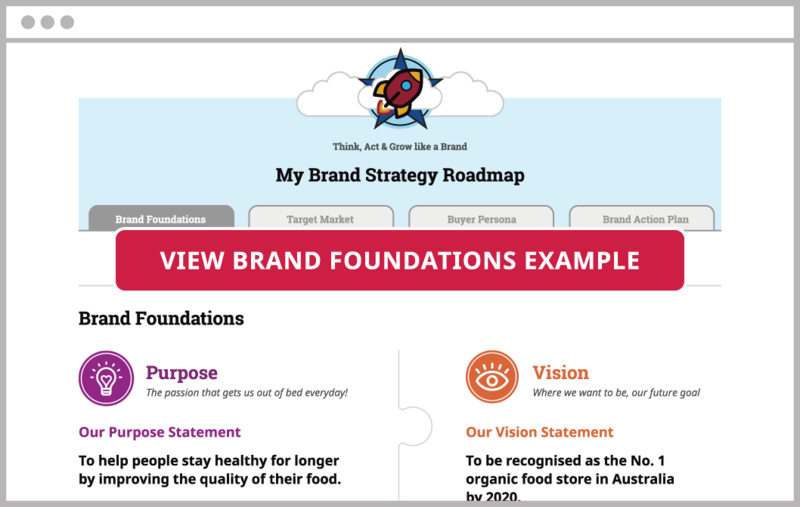 You can review, update, print or save your Brand Foundations as PDF. The group of similar buyers (consumers or businesses) which your offering is primarily aimed at. Your buyers aren’t always who you think they should be but who they actually are, which may not be the same at all. There may even be group of buyers you hadn’t considered before. Dividing your market into all possible groups of buyers with similar needs or characteristics, which you describe briefly. Plan2Brand gives you the tools to help you do this. Using a checklist of criteria, you choose the most appropriate two groups (businesses or consumers) to describe in more detail. Answering key questions, you get a detailed picture of the pros and cons for each of these market segments. Using your answers, you analyse and rate which one of these two groups is the most attractive to your business, i.e. attainable and profitable. Your scores reveals the most appropriate one to focus on as your Target Market. A semi-fictional representation of your ideal customer, whose buying decisions you want to influence. Takes away the guesswork and overcome organisational silos and put the focus where it should be – helping your target buyers fulfil their goals. Plan2Brand takes this well known concept further to help you build a more insightful, and therefore more valuable, picture of your dream customer from your Target Market. Get real insights by listening and probing the authentic stories of buyers. Learn a specific technique that reveals buying insights** – the real reasons behind decision making. Analyse, sort and group buying insights into the ‘Five Drivers For Buying Insights’ – the key areas that drive the decision making process – 1. Solution Triggers, 2. Critical Must Haves, 3. Desired Outcomes, 4. Likely Roadblocks, and 5. Buyer Journey. 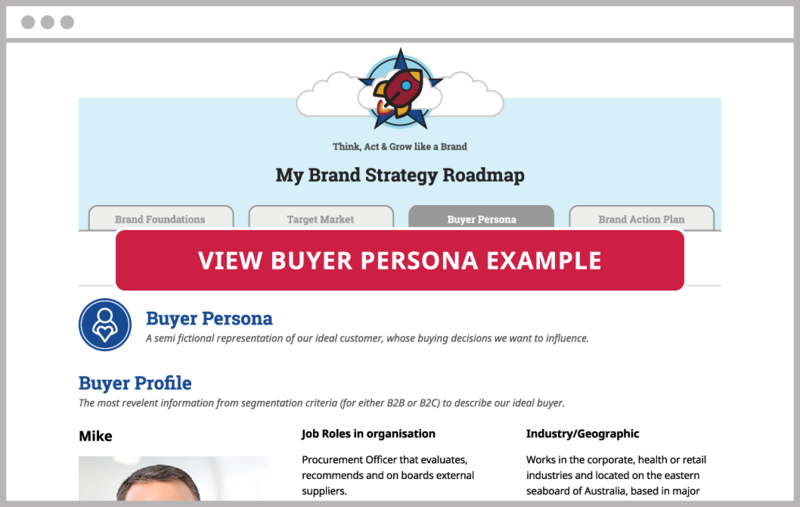 Put together a detailed human picture of your ideal buyers in two parts – Buyer Profile, including a face, name and key criteria and Buying Insights, including the top 2-3 for each of the Five Drivers. ** You can develop ‘buying insights’ from your own knowledge and experience in Plan2Brand. To confirm your insights though, it’s highly recommended you interview buyers at some stage – you may be surprised at how few buyers you need to start hearing similar insights. • Align your team around the top priorities buyers care about • Deliver useful content that builds trust and loyalty • Better plan your marketing resources in a more targeted and cost effective way • Respond to customer problems in a positive and knowledge building way. 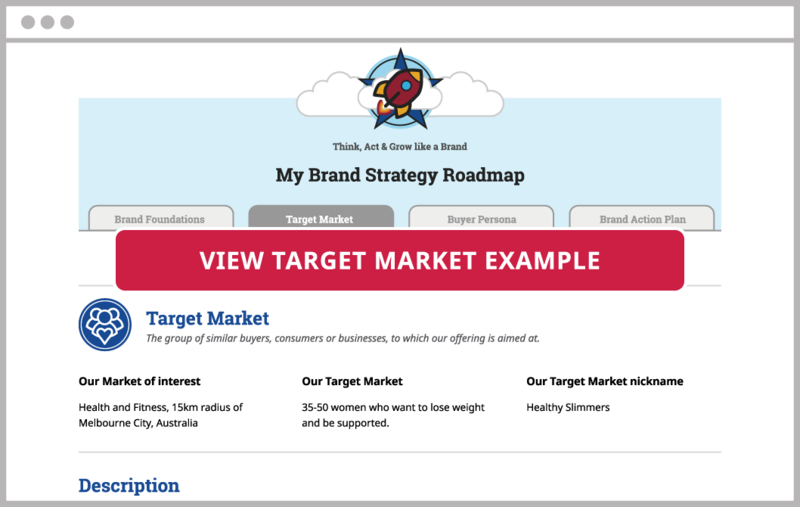 You can review, update, print or save your Target Market and Buyer Persona as PDFs. A simple one page overview that is an instant snapshot of your sequential quarterly activities that guide what you need to implement over the next 12 months. campaigns are straightforward with copywriters and designers across what needs to be achieved.